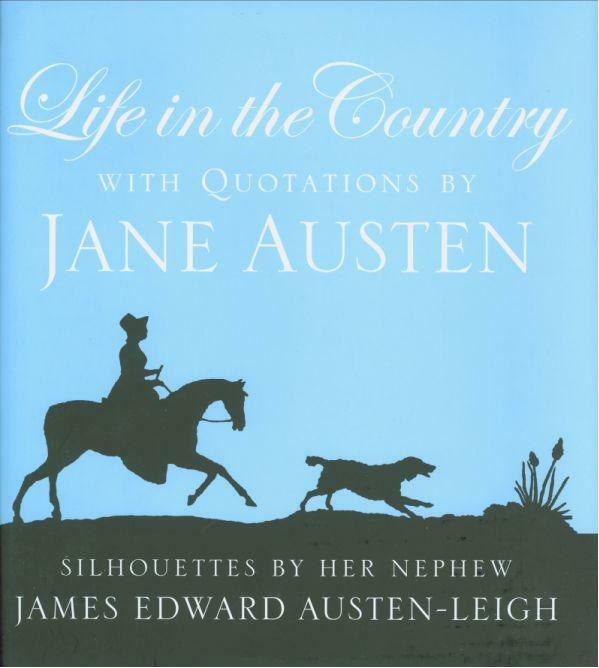 The entire piece is bookended by a lovely introduction and afterword, by members of the Austen “dream team” (Joan Austen-Leigh, Maggie Lane, Freydis Jane Welland etc) and we’re given some great insight into the world of creativity, craft and day-to-day life in the Regency countryside. Unfortunately, Jane Austen passed before she would have been able to see these silhouettes. But that doesn’t make the match between her quotes and the illustrations any less charming. Pride and Prejudice quotes are galore in this collection. In fact, the first is from Pride and Prejudice Voume I, Chapter 2 and is about getting fish for an addition to the family party. The accompanying image is a fishing scene. The quotes are separated, generally, into books or letters, which gives more sense of the flow. With Pride and Prejudice first, and making one other appearance, it’s good to get to some of our favourite quotes first (not least “What are men to rocks and mountains?”). Fishing makes another two mentions and, as a P&P fan, it really brought to my attention how many little comments there are about things such as pigs, fishing and the general natural environment. I’m notoriously picky about these sorts of books, but it’s a really good job – especially as it branches past the canonical Austen books and into her other work. I also love the font chosen, and the very simple design choices – such as the colours, and the decision to have white silhouettes on the black dust jackets inside back flap. It’s elegant. The extra photos, verses of poetry and information at the end of the book really made it stand out to me. I especially love Edward’s poem about Jane, which includes this gem: “And though Mr Collins, so grateful for all, Will Lady de Bourgh his dear Patroness call, ‘Tis to your ingenuity really he owed, His living, his wife, and his humble abode.” Pure genius. Overall, it’s a nice one to add to my Austen bookcase. I absolutely love these coffee-table style books that I can imagine displaying for friends to come and flick through. For now, it will live with my other Austens until I want to read it some more.